Need fast cash to pay those student bills? There are hundreds of ways to earn quick bucks in no time. You can do these little extra earners along with your online jobs, and they have the potential to give you a big boost to your student savings. Did you know that most of the students opt for food delivery gigs? This is because it is flexible and there is minimal customer interaction. With UberEats you earn per delivery, so more deliveries you make more you earn. You can use a car, bike or a scooter to deliver. There is a background check once you sign up. Swagbucks – Has many ways to earn money(even passively) and gives you a sign up bonus of $5 for free. Survey Junkie – Easy to earn points and convert them in cash. Payouts threshold is $10, so you can easily cashout. Ipsos i-Say – Easy to sign up and pays in gift cards and cash. Best part is the loyalty program which is a passive earning. Learn more about this survey panel here. Springboard America – Short sign up process and high paying surveys with good referral earn are plus points for this survey panel. MyPoints – Earn $10 free just to shop online with this survey panel. You have many easy ways to earn points like watching videos, playing games and surveys. Sign up for all of them, be honest and do the surveys immediately as you get them. They are not online jobs per se but can pay your some of your bills for sure. Read our in-depth Swagbucks review here. If driving is your thing, then sign up for Lyft as a rideshare driver. Even if you drive on weekends and evenings, you can earn enough money to pay your bills. And for a limited time when you sign up and complete your first 100 rides, you can earn a bonus of $300 with Lyft. That’s a nice perk to get started! Amazon Mechanical Turk is something where you can do many tasks like small writing gigs, transcription projects, typing, surveys, etc. This legitimate online work is worth your time if you take up the tasks with more pay. With Clickworker, you can work on data annotation, tagging and translation tasks. You need to register yourself first, and you will get notified about the projects through email. If you love searching the web for answers, then apply to become a Wonder Researcher. You get around $8 per hour, and you can conveniently log in and work in your own time. You can work from anywhere as a Wonder Researcher. If you ever called any company and came across the ‘this call is being recorded’ that’s what you will be working on as a Call Reviewer with Humanatic. You will be listening to calls and categorizing them with tags. It is one of the online jobs that’s pretty flexible and fun to do. It is open to applicants worldwide. This could be a very enjoyable and legitimate online job for students but keep in mind there are many mystery shopping scams out there. Always research the company you are signing up for and see if it is registered with MSPA. There are some legitimate mystery shopping companies like BestMark, Perception Strategies, etc. This does not involve much technical knowledge, but testing websites can be an easy way to earn some extra cash. You will need to navigate and check a site for it’s functionality. Whatusersdo – Open to international testers. The payout per test is $8. TrymyUI – You can test apps along with websites and the payout is $10 per test. Enroll – Test on any device like phone or tablets. You can also do some mini tasks apart from website testing. I am sure you love listening to music. If you do, then turn that hobby into some extra cash by signing up for Slice the Pie. Your job is to review the music by upcoming artists and writer reviews. Keep in mind this is just an extra cash earner and cannot be relied upon to earn a full-time income. You can sign up from anywhere in the world for Slice the Pie. If you love pets, then there is no better way to earn extra cash than by walking dogs. Just sign up for Rover and take strolls with your favorite furry animals. The average pay is up to $1,000 per month part-time according to the website. This is available for the US, UK and Canada residents. With this company, you can be a part-time or full-time babysitter. The work is very flexible, where you choose your hours. Sittercity is a very legitimate and popular company hiring students for caregiving. If you got some free time on hand after school, look into this. These are the online jobs you can do just from your home or your dorm. They are pretty flexible, and many of them can be done even during the weekends. Most of these work from home jobs pay per hour. Some of them are phone related, and some are non-phone. These can be really handy when you need a job while studying. You will love teaching online with this company. Why? Because apart from bachelors degree holders, they also accept tutors who are working towards getting a degree. That means YOU! They hire from the US and Canada and the pay is between $16 – $20 an hour. You can sign up online and schedule a video interview. LiveOps is one company that hires sales agents for very flexible schedules. You can choose your timings, and it can be done exclusively on the weekends. The pay is based on the client, but usually, it is the talk time, base pay and commissions. With this company, you will be working as a virtual assistant. The schedule is quite flexible, and you will be working on different tasks like admin work, email management, scheduling appointments etc. This company hires in the US. This could be a good online part-time job suitable for college students. You can look into becoming a transcriber or translator with this company. They also offer captioning work. You need to be able to type fast and go through training before you get hired. The work is flexible, and you can do it in your own time. This company hires moderators to work on forums, chat rooms, and social media channels. They accept global applicants. This can be an ideal job for someone who enjoys being on social media or forums. Perfect part-time gig for students! I work for this company and can say for sure that it perfectly suits students. You can work anytime you want as long as you meet the weekly hours’ requirement. The pay is different for every country, and they hire in more than 30 countries worldwide. This is one the most flexible online jobs in my opinion. If you are fast in typing, then you can apply for data entry job with this company. You need to have some prior experience in typing, and there is a background check before you get the projects. This crowdsourcing and translation company has many small projects related to data tagging, social media evaluators, translators, etc that can be done online. They hire globally, and the pay differs according to the country. Find out more about this company in our Appen Butler Hill review. If you are looking for a way to make money online as a student, then teaching English for HAWO is a great choice. This company accepts students who are enrolled as an English major in a University along with some teaching experience. If you have further teaching certifications, it can help. The pay is $18 per hour with bonuses and incentives. You can work as Apple At Home Advisor with this giant. They hire in lot of cities in the US, and you can work during holidays. This is one of the most popular stay-at-home jobs for college students. You can work as a reservation agent/customer service rep with this company, and the schedules are flexible. The minimum pay is around $8 per hour. You can teach students online with Tutor.com teaching a lot of subjects. You will have to go through a subject exam, mock test, and a background check before getting hired. If you are doing your masters or further studies and have any informal teaching experience, then you can teach conversational English to Chinese students online. You can earn $14-$22 per hour. The best part is that you don’t need to prepare the lessons and the schedules are very flexible. This company hires transcribers in the US. You need to be a fast typist with high-speed internet. You need to download their transcription software for a test before getting recruited. They do need prior experience in transcription. You can use your voice to earn money through Voices.com. You need to register with their Free or Premium accounts and record a demo of your voice. The pay depends on the client and the project. Find out more about voice acting jobs in this post. These are some really ‘high paying’ online work options you can conveniently do while in college. Many of these hustles have a high potential to become a future career choice. 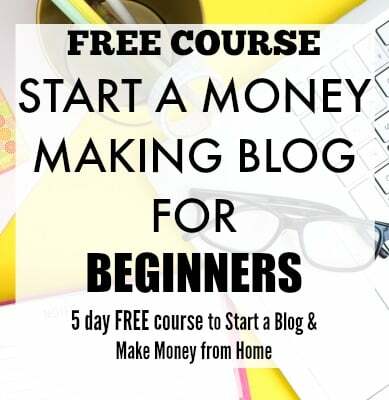 If you are looking for a side job that can give you a good income, become a blogger. I blog part-time and still earn a full-time income from home. Blogging is super flexible, and you can do this from anywhere in the world. The cool thing about blogging is, you do not need any expertise to become a blogger. As a student, you must be having some free time on weekends. Why not make use of it to visit flea markets and flip items for profit? Yes, this is a real thing. You can earn a good income, in fact, you can earn over $40,000 per year like Melissa did, just by flipping flea market items part-time. Just take this FREE workshop to know everything about Flipping. Freelance Writing is one of the most chosen side hustles by college students to earn money online. There are many ways you can start making money with freelance writing at places like Hubpages, About.com or finding freelance writing gigs on Problogger.net or Contena. If you are a techie geek, then side hustle as an SEO consultant and earn $75/hour. This is a great part-time gig for someone who is interested in technical stuff. SEO industry is booming right now, and this job can potentially push you towards your future career. Are you a student pursuing creative study like graphic design or illustration or animation? You can find graphic design online jobs in places like Authentic Jobs, Dribbble, Smashing Magazine etc. Here is an inspiring article about finding a graphic design internship. 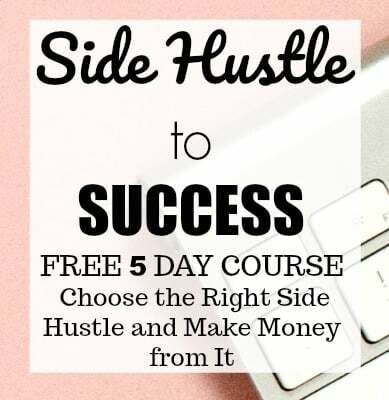 This sure is a hustle you will love doing! Like flipping, if you got some time on hand over the weekends or after college, you can earn money from Amazon FBA. You can work in your own time, and the earning potential of this side gig is just incredible. If you love your city and go out frequently on the weekends, then hustle as a Tour guide. This is a fun and enjoyable side job you can take up if you have the travel bug. It can fit perfectly with your college lifestyle and is extremely rewarding. College is a fun and financially draining phase of anyone’s life. It can leave a big dent in your finances if you don’t look for ways to earn money. Luckily there are many legitimate and flexible ways to earn money while you study. It depends on your schedule and choice to find out the right job to start earning. Start your saving and earning journey right from your college days!